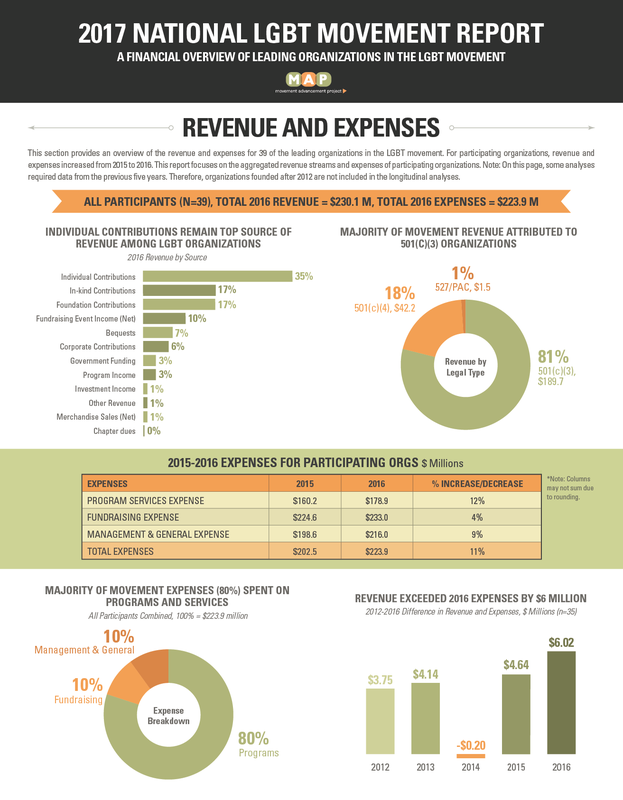 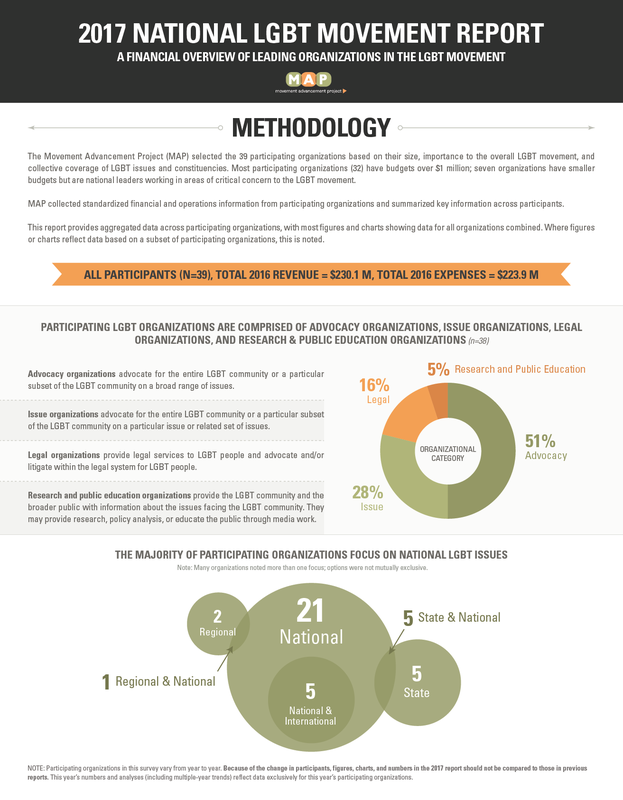 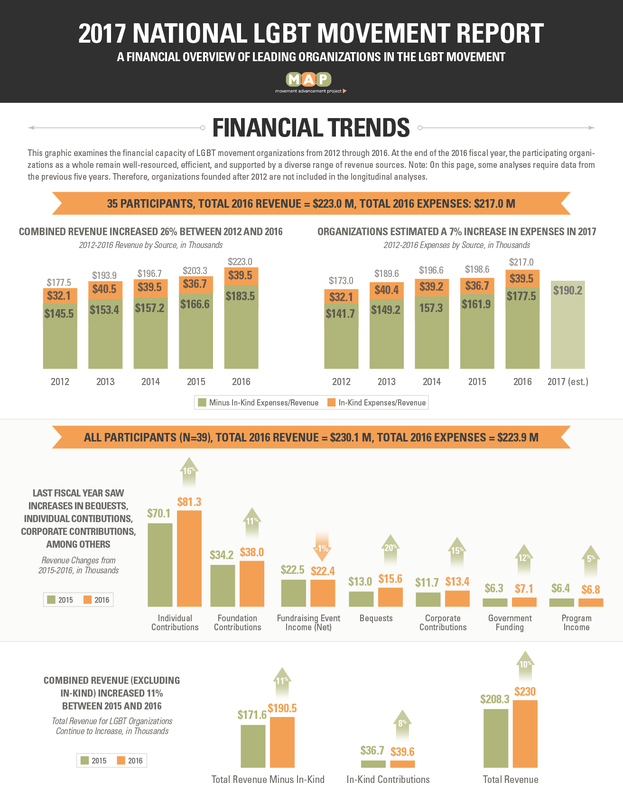 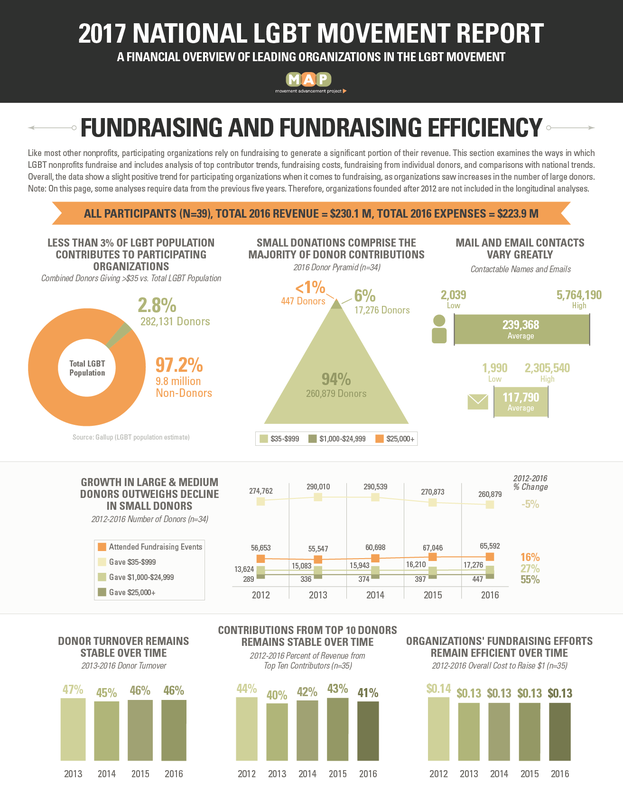 The National LGBT Movement Report, published annually by MAP, examines revenue and expenses, fundraising and fundraising efficiency, and other indicators of financial health for lesbian, gay, bisexual and transgender (LGBT) social justice advocacy, issue, legal, research and public education organizations. 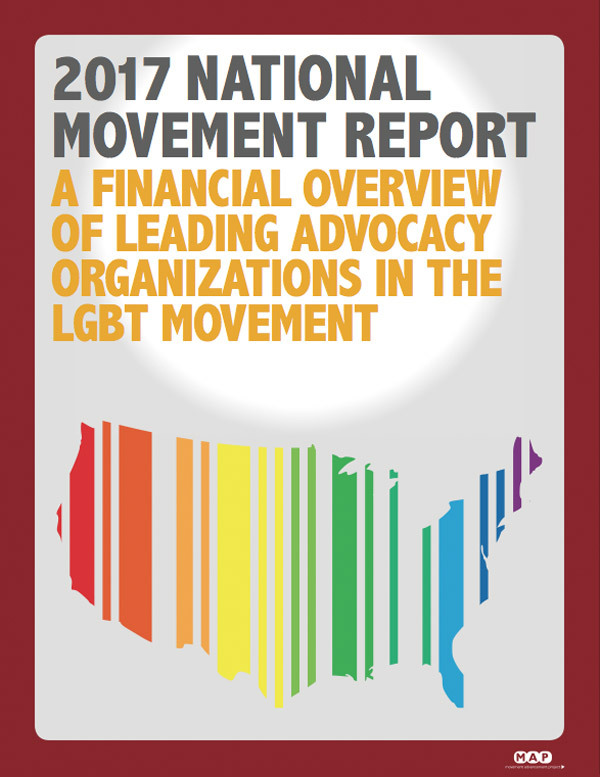 The 2017 National LGBT Movement Report provides a comprehensive snapshot of the financial health of 39 LGBT social justice organizations. 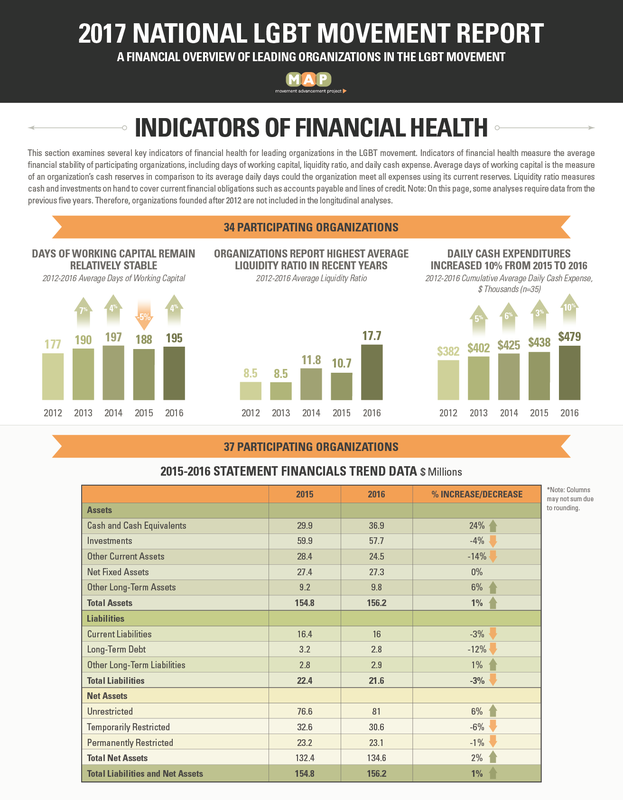 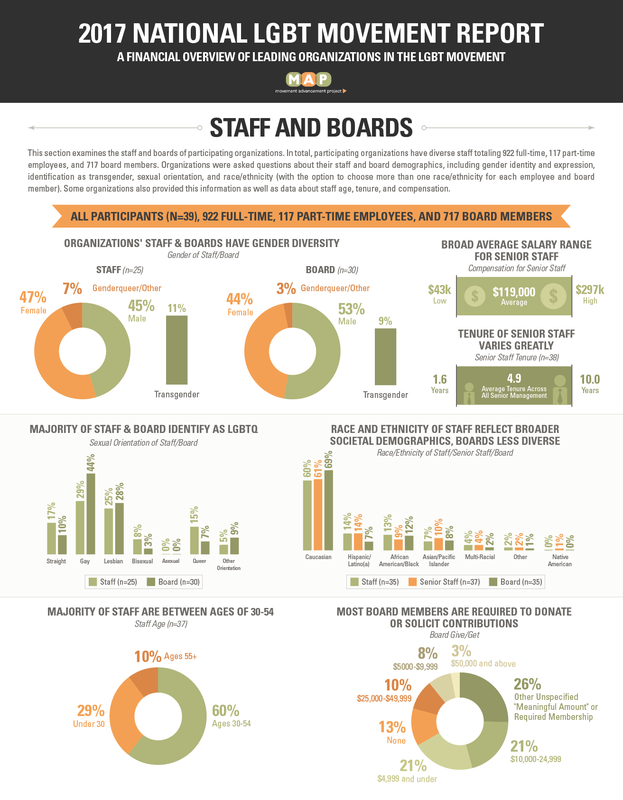 See MAP's press release for key findings.